WhiteWing, formerly called Forbidden Children, was formed in Rapid City in 1968 with founders Mike Drew (vocals, organ), Rod Schroeder (vocals, guitars), Mike Coates (guitars), Gary Cass (bass) and Norm Curtis (drums). From the band’s beginning, they were touring with national performing artists throughout North and South Dakota, Wyoming, Montana, Colorado, Nebraska, Minnesota and Canada. Their name became synonymous with great music and electric performances. In 1974, Mike Niva performed on keyboards and vocals with WhiteWing. 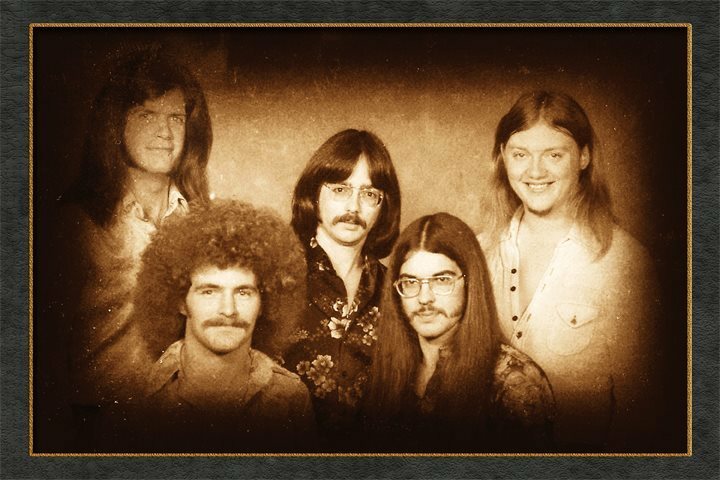 In 1975 with the line-up of original members Coates, Curtis, and Cass and now with Tim Renshaw on keyboards and Mike English on lead vocals, WhiteWing landed a record deal with the Minneapolis record label A.S.I. and released their self-titled debut album. The single from that album titled Hansa, written by Mike Coates, hit the Billboard top-singles charts. Subsequently, WhiteWing albums were sold all over the US, Canada, and Europe. Radio stations placed Hansa in a frequent rotational slot as part of their station’s programming; Hansa had massive radio airplay throughout the Midwest and Canada. WhiteWing was often mislabeled as an American version of The Moody Blues but it was a much heavier band with a progressive rock foundation; it was hard to find a genre that defined this unique band during the mid 70’s. WhiteWing disbanded in late 1976 but left a mark in South Dakota rock history with the founding of a progressive, distinct style that is still rare and treasured by a multitude of vinyl music collectors and progressive rock aficionados. All of the members of WhiteWing are indebted to the many loyal and faithful fans who supported them through the years. Many of the former members still perform and work in the music industry today. WhiteWing looks back on their place in the history of rock music in South Dakota with thanks, gratitude and pride.